Royal Toybox: Happy Easter, pass the chocolate. When I was young, the Easter Bunny hid our baskets, but left little notes to key us in on where we should look. As if we were the remedial candy eating house, E.B. figured he had to lay down a trail from our bedside to our stash of Cadbury eggs, peeps, and crucifix shaped chocolate bars. 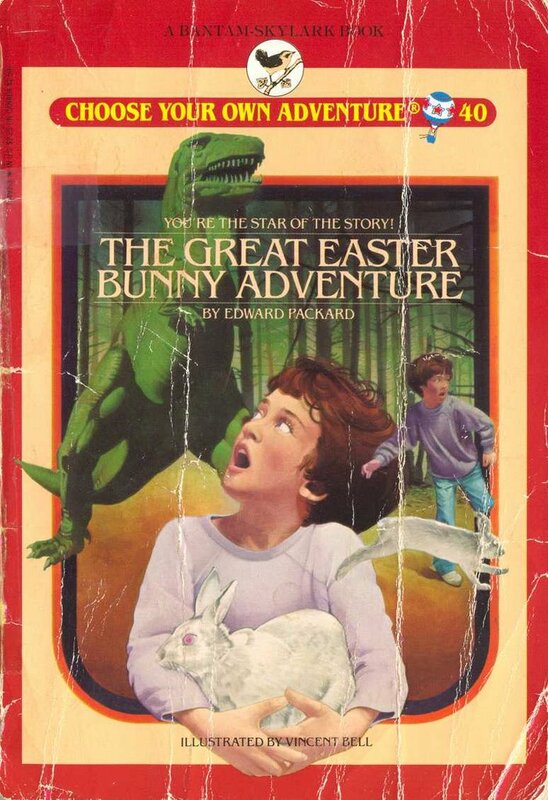 They’d always be in verse, too – the Bunny doesn’t kid around. Some years, the route to the loot would take us out to the car, into the bathtub, through the dog food bin, and even into the vegetable crisper (pftht. Vegetables. I have malted milk balls to eat). One year, the note told us we had to call Aunt Dawn for the next clue. Undoubtedly, Aunt Dawn loved getting this call. At 8am. Today, I woke up in my own bed, and though I didn’t have any notes to follow, I did have an Easter basket to give to Lisa. Technically, I figured, it’s Baby’s first Easter, but how else is he/she going to get his/her Swedish fish, unless Ma eats them first? I also got him/her Batman shaped candy bars, since I couldn’t find any crucifixes at Target. I’m sure He/She understood.